Alien Invaders Plus. Trust me, you were cool if you had this game in the early 80s. made all the more awkward with a brown eye patch he had to wear for a few weeks at camp. I bear no physical scars from this bandana incident, just mental ones. Even though I was only about seven when my eye got scratched, I can remember it vividly. Even today, I can’t be around anyone whipping a towel, shirt, or bandana around their heads. I will actually break out in a nervous sweat when I see an arena full of sports fans whipping terrible towels around in a frenzy. All I can do is think back to that quiet, painful morning playing our Odyssey 2. My mother was not happy with my brother; I’m sure she blamed it all on the video game system. As I wrote a few weeks ago, I’m not very good at video games. However, I have set out to figure out the coolest video game around: Minecraft. 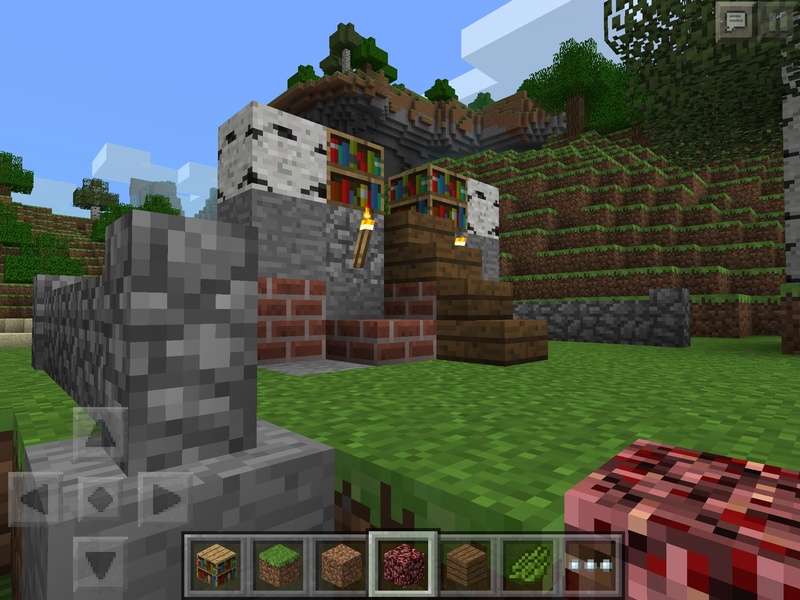 As anyone with a Twitter feed can attest, Minecraft dominates the educational technology discussion. So, I downloaded the game to my iPad a few weeks ago and have made it my summer mission to not only figure out how the game is played, but also to figure out if it can really be used in schools. I have purposefully avoided reading about the game since I began this mission in hopes that I will be able to figure it out. It’s not going well. My creation. It doesn’t look like much, but I’m pleased with it. trees and punch holes in the ground. I have also started to build. Last night I built the little shrine to books you see here. Is this worth four hours of time? I’m not sure I want to answer that question. All I know is that it’s fun. What have I learned so far from Minecraft? It’s a pretty cool game and I’m hoping there’s a logical way it can be used in schools. Minecraft says it’s “a game about breaking and placing blocks.” I think I’ve figured that much out. I’m hoping I can figure out more in less time. 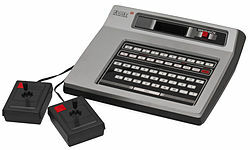 On a positive note, video games have come a long way since our Odyssey 2. 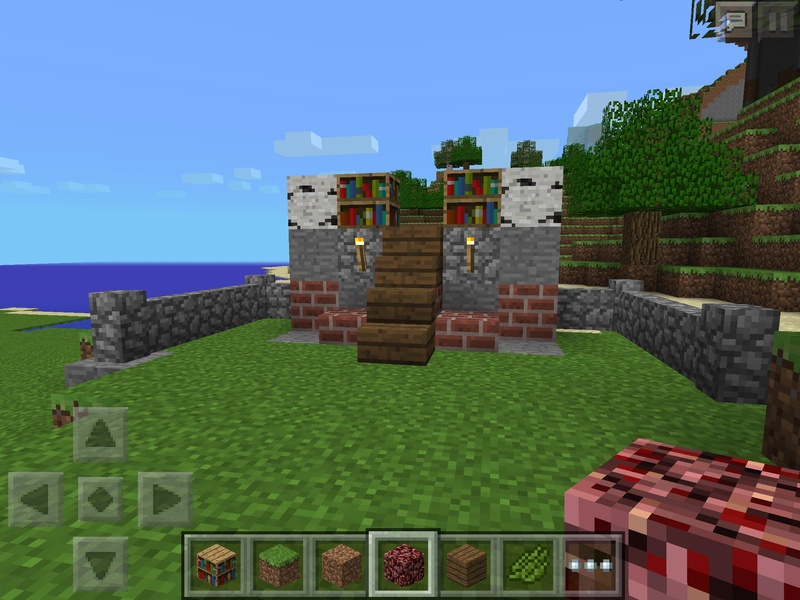 For some inspiration, check out what others have made in this Minecraft gallery. Another picture of my creation.